19.12.2015. Goodison Park, Liverpool, England. Barclays Premier League. Everton versus Leicester City. 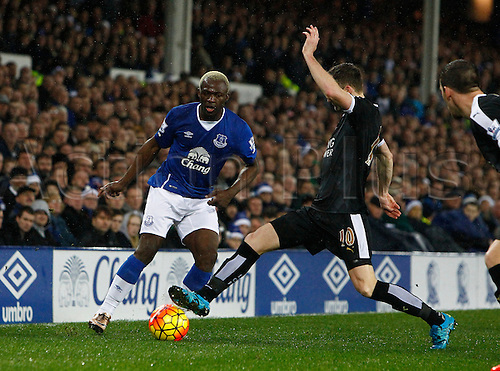 Leicester City midfielder Andy King tackles Everton striker Arouna Koné. © Copyright 2012 ActionPlus. All rights reserved.